Zelman’s love for the arts has been prominent from a very early age. He was born into an artistic family travelling and living in many of Australia’s major cities, before settling in Melbourne to complete his secondary studies in 2010. 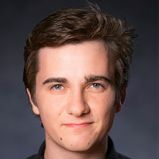 Zelman was part of the St Martins Youth Theatre and was cast in the premiere production of Love Letters presented at The Arts Centre Melbourne. He then gained a supporting role in Matchbox Pictures’ Nowhere Boys series for the ABC in 2013 and studied photography at RMIT University’s prestigious photography school, before successfully auditioning for NIDA in 2015. Zelman’s passions include the classic canon as well as self-initiating work. 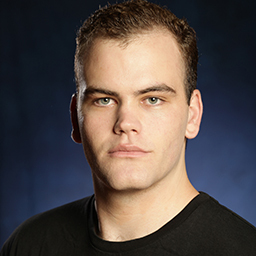 Being in the theatrical laboratory of NIDA across three years has grown his imagination, refined his interpretative skills and developed his self-initiating work – creating a duo named Rudy and Cuthbert with fellow classmate Toby Blome. Arising from performances at internal NIDA Student Festivals, Rudy and Cuthbert will premiere in 2018 with their first public season. He aims to push his ability further, believing that education is a strong resource for any aspiring actor to create a resounding career in Australia and worldwide. Growing up in Batemans Bay on the South Coast of NSW, Thomas’ love of theatre started at the young age of seven when he joined his local amateur theatre company, The Bay Theatre Players.